You and your water heater may have a love-hate relationship, and like many Toronto homeowners, you may keep their water heater completely out of mind. This is risky, as it can lead to exhausting and expensive mistakes! If you do not address problems the moment they come up, at best you will not have access to warm water, and at worst you may end up with flooding in your home. 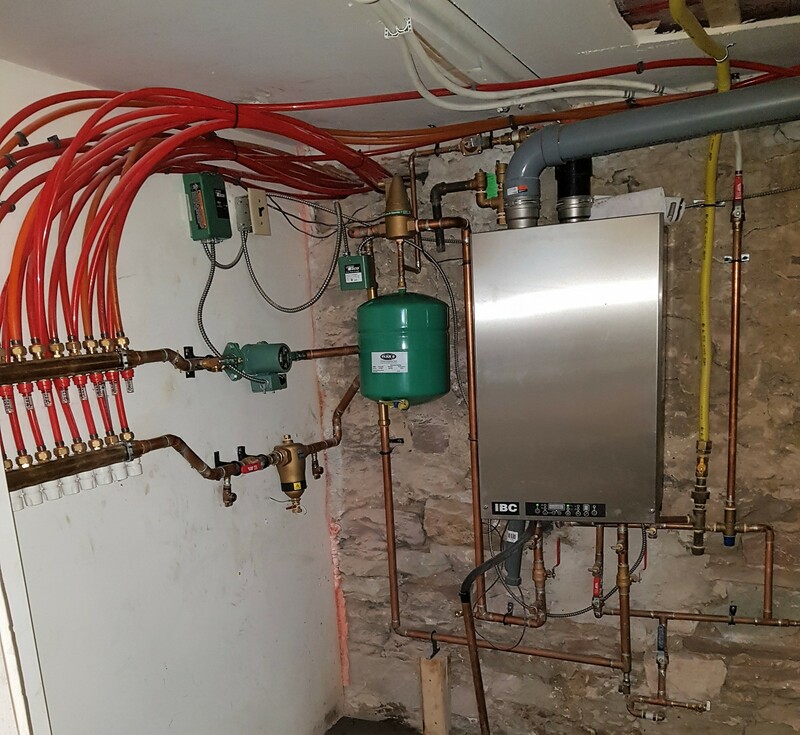 A flooded basement is a hefty price to pay, and that is why DeMarco Mechanical Services Inc. offers quick, reliable water heater installation, repair, and replacement services for our clients in the GTA. We offer a variety of services for electric or gas-powered water heaters in many capacities. Our team works to match your building’s water requirements to make sure you get a perfect fit. 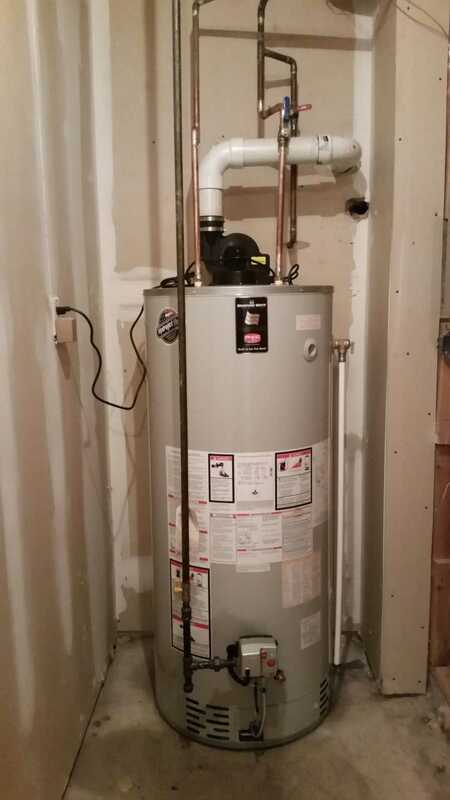 Water Heater Installation: DeMarco Mechanical stocks a variety of traditional and tankless water heaters from brands such as: Bradford White, Rinnai, Weil McLain, IBC Tank-less Water, Rheem, Viessmann, Navien, NY Thermal, & More! Our certified staff are trained in perfect water heater installations, and we are dedicated to 100% customer satisfaction. Water Heater Repair: Dour technicians will quickly and effectively diagnose and repair problems with your water heater. Each water heater repair job is done with the highest quality brand-name parts that match your equipment, and we offer a 30-day warranty with every repair or part used. Water Heater Replacement: Your equipment will not last forever, and sometimes it is not advisable to repair it any longer. Whether it is due to wear, damage, or the fact that the model has fallen behind the times on efficiency, sometimes you need a water heater replacement. Our team will gladly recommend the most energy-efficient model that matches your needs, and we would be happy to replace your heater with 100% client satisfaction in mind. Our water heater service areas include Downtown Toronto, North York, Scarborough, Thornhill, Markham, Newmarket, Pickering, Stouffville, Ajax & more. We value our clients above all else, check out our top-rated HomeStars profile here! Any and all of these symptoms can indicate something is wrong, so it is best to call in a professional for a check-up as soon as you notice anything. A conventional water heater takes up valuable space in your utility room or basement, and that 40- to 80-gallon capacity may not even be enough for your family. If you find yourself running out of hot water at the end of the night, you might want to consider an upgrade to a tankless water heater. A tankless water heater delivers an endless supply of hot water to your shower or tub because it heats the water running through it directly. The benefits of these heaters are that they are far more energy efficient, provide unlimited hot water and take up far less space than traditional models. A tankless water heater will generally provide you with a 30-35% increase in energy efficiency, saving you about $300 yearly on average. With those savings, it is not surprising that the slightly higher price-tag on one of these heaters is worth the investment. Due to their added energy efficiency, we recommend purchasing one of these new, technologically advanced, energy-efficient tankless water heater models for your home the next time you need a replacement. Click here to read our excellent Google reviews! DeMarco Mechanical Services Inc. provides repairs, general maintenance, inspections, and replacements of parts and full replacements of water heaters, including tankless heaters. With our help, you will find the best water heater to match the requirements of your home and family’s water consumption. We offer you the highest standard of any water heater service with every visit and will take the time to approach every problem with the same care and attention we would show in our own homes. With the help of our highly skilled Technicians, your repairs and replacements will be done in no time at all. There is no job too big or too small, and we will always take the time to ensure 100% customer satisfaction in every aspect of our job. Save yourself the stress and discomfort of a failing water heater and call us as soon as you notice it acting up, we guarantee quick service, inspections, and replacements. Our company also believes in creating a good relationship with our customers, which is why we offer highly competitive rates, multi-equipment discounts, and service contracts throughout the entire GTA. Why does my water heater keep turning off? Your water heater may keep turning off for these common reasons: insufficient gas supply, a dirty pilot light tip leading to insufficient flames, and a dirty or broken thermocouple. These elements need to be cleaned and may be replaced. Electrical units may have coils, thermostats, or other parts that need to be replaced. Why does my water heater make noise? Your water heater can make noise for many reasons. The most common ones include water hammer (when water flows in the wrong direction) which sounds like a hammer and is very harmful, high pH water or mineral buildup which sounds like popping. It is best to contact a technician to isolate and fix your problem. Why is my water heater leaking? If your water heater is leaking by dripping, the problem can be a corroded water tank or loose, leaky fittings like drain valves or pressure-relief valves. If there is spraying or flooding it may be due to a damaged or corroded tank, pipes, or pipe fittings. Immediately turn off the nearest valve or your water supply valve and call a technician. Why is my hot water heater cold? Your hot water heater may be cold for several common reasons. Malfunctioning or broken parts such as your heating element or thermostat may prevent the water from heating up at all. Alternatively, a broken dip tube or mineral buildup within the tank may lower the efficiency of your machine. Tankless water heaters work by heating water instantly as they travel through small pipes inside the system instead of storing a large amount of hot water. A gas burner heats up the water as it passes through, allowing for a constant, on-demand supply of hot water.